Are you seeking U.S. residency, trying to get your green card, or facing deportation? These processes can be intimidating, especially if you can’t find the answers you are looking for. Talking with a lawyer about your case might seem equally intimidating, but it doesn’t have to be. The truth is that having a qualified immigration lawyer on your side gives you an extra measure of protection and assistance as you work through the complex immigration system. You need help with discretionary relief. If you have been the victim of domestic violence or another qualifying crime, you may be eligible for a visa that can protect you from removal or other immigration consequences and provide relief for situation, potentially including a path to U.S. Citizenship. If removal proceedings have begun, you may be able to apply for discretionary relief such as asylum, adjustment of status, or cancellation of removal. Many times, this relief is only available at the discretion of the immigration judge. In some emergency circumstances, your case may be given immediate attention without having to wait through the delays and lengthy transactions of the immigration process. These situations may include illness, death of a family member, or medical emergencies. When you have been told you are inadmissible. Inadmissibility can be based on many circumstances, including criminal activities, multiple entrances and exits, communicable diseases, physical or mental disorders that may cause harm to others, incomplete vaccinations, and more. The good news is that you may still have options. The designation may be in error and you may be able to have it reversed. You may also be eligible for a waiver to overturn the inadmissibility finding. If your application has been denied, you need to understand what the decision was based on and what options you have for moving forward. You can challenge or appeal the decision by providing additional information. 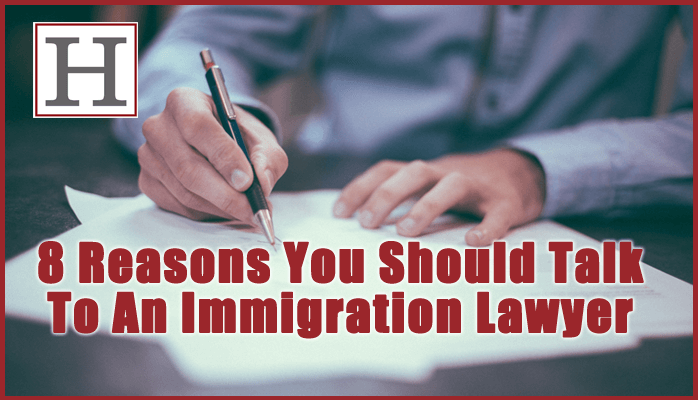 Delays can prolong your application process for lengthy periods of time, and you may be left without recourse as you wait for immigration officials to act on your case. You have received notification of deportation proceedings. When you receive notice of a deportation order, you should consider options to challenge or appeal. You will need to gather supporting information such as new facts in your case, changed circumstances, or exceptional considerations so you can file a motion to reopen or reconsider. You may also be able to file an appeal to the Board of Immigration Appeals to review your case. You are in immigration court proceedings. When you enter immigration court deportation proceedings, your immigration status is entirely in the power of the courts. A standard application will not achieve the results you want; instead, you will need to work with the court system to sway or appeal the final outcome. All of the circumstances above can leave you feeling overwhelmed as you face paperwork, court hearings, lengthy procedures, and uncertainty. In times like these, you need answers to your questions and experienced counsel about the quickest path to resolution. A qualified immigration attorney can help you in each of these circumstances. USCIS information officers can’t provide expert legal advice about the particulars of your case, and they won’t take responsibility if they give you the wrong information. That’s why you need a lawyer who will fight for you. At Hendricks Law, we understand the uncertainty and apprehension you feel, and we can help you walk through the immigration process confidently. We will answer your questions and give you the counsel you need to reach the best possible conclusion to your case. Call us today to set up your free consultation with one of our experienced immigration attorneys.